Post-Show Note: The CRSQ creation science journal has published Bob Enyart's review of Darwin's Doubt. 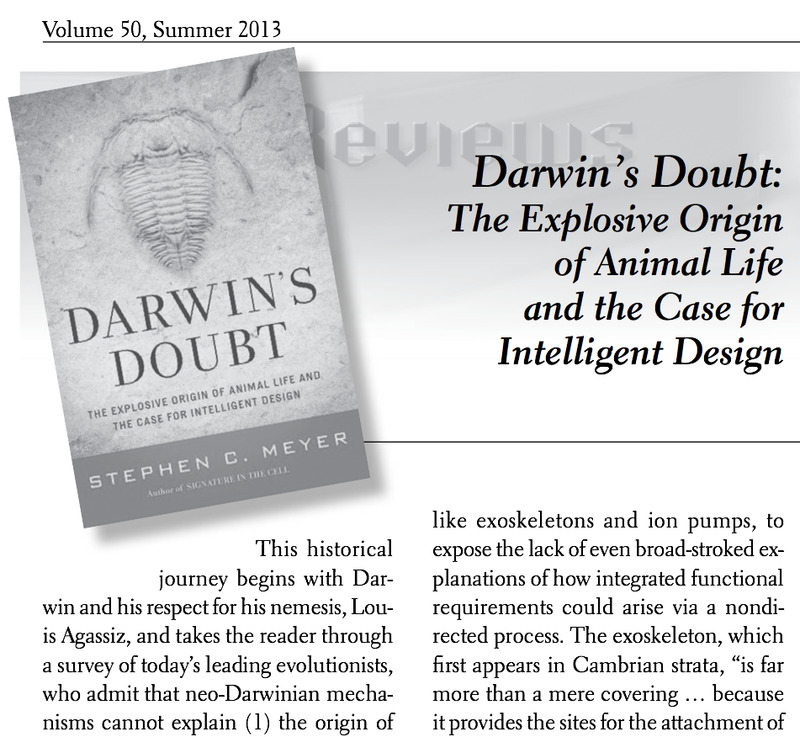 * Paperback of New York Times Bestseller Released: RSR continues the discussion with old-earth anti-evolutionist Dr. Stephen Meyer of the Discovery Institute on the his instant bestseller, Darwin's Doubt. [Hear the first interview.] Amazon.com has about 500 reviews of this significant Intelligent Design (ID) movement book. 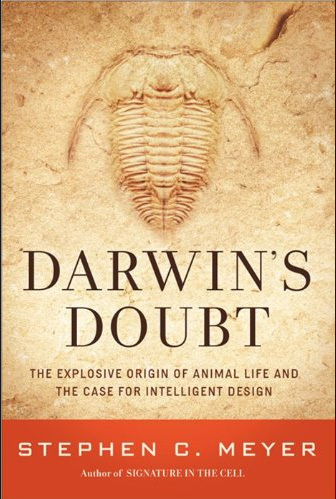 Real Science Radio co-host Bob Enyart talks with Dr. Meyer about the more prominent critiques which are answered in a new chapter that now appears in the paperback release of Darwin's Doubt. * Tuesday Night Open Theism Debate Enyart vs. White: Well-known theologian James White will debate Bob Enyart, the pastor of Denver Bible Church on Open Theism: Is the future settled or open? 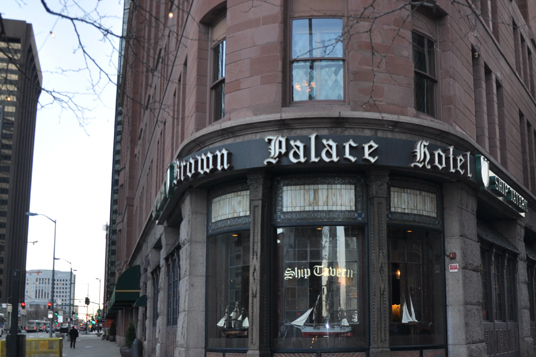 On Tuesday evening, July 8 at 6:30 p.m., the debate will be held downtown Denver at Colorado's historic Brown Palace hotel. If you're in the state, or can be, you are cordially invited to come on out and we'll have a great time in the Lord! Admission is free and seats for 100 attendees are available on a first-come, first-served basis. Quoting OpenTheism.org, "Open Theism is the Christian doctrine that the future is not settled but open because God is alive, eternally free, and inexhaustibly creative." That is, God can forever think new thoughts, design new works, write new songs. He has not exhausted His creativity and never will for. Of His kingdom there will be no end and thus by God's everlasting freedom and abilities, the future cannot be settled but must be open. In the meantime, check out Bob's previous efforts by clicking on the "Debate" tab at OpenTheism.org. * Bob's 2011 Comment Prefiguring Meyer: Part II of Stephen Meyer's 2013 book is about "The Cambrian Information Explosion", genes, epigenetics, etc. In a comment to an evolutionist on TheologyOnline.com in 2011, Bob wrote Alate_One, "And as for [Charles Doolittle] Walcott and the Cambrian Explosion, adding to his being stunned by the complexity of life so low in the geologic column, I imagine you've thought through the stunning discoveries in molecular biology that supercharges the 'explosive' part of all that variety?" * Stephen Meyers is Not a Creationist: Sadly, Dr. Meyer, along with virtually all the Christians in the ID community, rejects the young earth as well as the need to take the scriptural account of the global flood as literal. As a further result, typically, old-earth Christians also reject the literality of many divine interventions taught in the Bible, including about the Tower of Babel, the creation of the Earth before the stars, etc. So, sadly, it is incorrect to refer to them as creationists. Still, we love those guys and pray for them! * A Shared Antagonist Eugenie Scott: Dr. Meyer seemed interested in the claims made by anti-creationist anthropologist Dr. Eugenie Scott when debating Bob Enyart on national TV. Hear these select soundbites from Eugenie Scott, an adversary of both Meyer's ID community and Enyart's creationist allies. In 1998, answering Enyart's repeated request for her best evidence for evolution, Eugenie said that the non-coding regions of DNA were affirmatively known to be useless, that further research would not show otherwise, and so that Junk DNA was great evidence against the existence of a Creator. (Of course, as offered for decades by virtually the entire evolution community, that is not an argument based on the laws of science, but a metaphysical argument, based on what a Creator may or may not be inclined to do; and the irony of it all, is that the this neo-Darwinian assumption retarded the advancement of science, for many years, as an evolutionary bias set in against recognizing function in the regions of DNA that did not code for protein. * Another Shared Antagonist Jerry Coyne: Update: Bob Enyart submitted a comment to Jerry Coyne's blog, whyevolutionistrue.com, quoting this infamous anti-creationist who had written, "Note that the DI will continue to ignore negative verdicts [about Meyer's Darwin's Doubt] by scientists like Matzke..." Enyart and Coyne had previously sparred regarding a humourous disagreement over horizontal gene transfer and whether genetic sequencing shows "the tree of life branching in a nice Darwinian way." At any rate, to Coyne's comment about Meyer's book, Enyart added, "Just fyi, if you read the newly released paperback, you'll see that Meyer addresses Matzke's critique at length. For example, Meyer addresses the claim that the hypothetical creatures inferred by conflicting cladograms provide sufficient evidence of the actual existence of such transitional forms." That comment, submitted on May 30, 2014, would have been #22. If you notice that Jerry decides to post Bob's comment, feel free to let us know at Bob@RealScienceRadio.com. KRAUSS: Another shared antagonist is theoretical physicist (emphasis on the theoretical) and evolutionist Lawrence Krauss, who says that all scientists are Darwinists. When they say consensus, consensus, then question the consensus. Contradicting Krauss' representation, there are hundreds of thousands of highly educated professionals working in the applied sciences who say that God was involved in the origin of human beings, which claim is antithetical to the central, claim of non-directed neo-Darwinism. Further, there are tens of thousands of professors, and tens of thousands of scholastics who doubt Darwinism, tens of thousands of U.S. high school biology teachers who do not endorse Darwinism, and thousands of known and named scientists and professors with advanced degrees in some field of science, most with Ph.D.s, who disagree with secular Darwinism to varying degrees. Krauss' primary way of maintaining that "all scientists are Darwinists" is to rest on the "consensus" and to ignore the substantive challenges presented by the evidence and the many qualified scientists who reject Darwinism (including the ID community). MEYER: Ditto for Meyer and the Big Bang. See rsr.org/big-bang for the extraordinary empirical observations which, as repeatedly admitted by leading astronomers, contradict many major predictions of big bang theory. See also rsr.org/krauss for our informal debate with a leading BB theorist. If hundreds of thousands of professionals received actual feedback from working with astronomy data the way physicians working on the human body do regarding biological systems, surveys of astronomers might show a percent, similar to those in the applied sciences, who reject the materialistic big bang. Cosmology dogma, further removed from human observation than anatomy, benefits from the herd mentality reinforcing the tendency to believe authorities because most people lack daily experience with first-hand evidence contradicting (or supporting) the accepted account. Krauss, being more of a marketing rep than an objective scientist, claims that all scientists are Darwinists, and that "All evidence overwhelmingly supports the big bang." So he asks rsr.org/krauss2#big-bang-doubters expects everyone to "Trust us", i.e., trust those with the inscrutable knowledge. But see for hundreds of astronomers, cosmologists, and many other advanced degreed scientists who reject the big bang. So, like the Darwin lobby, the ID movement trusts the BB model of secular academia by ignoring the mountains of hard evidence, as admitted by BB proponents, which contradict the theory, and by overlooking the many qualified scientists who risk their careers to dispute the Big Bang. - the origin of the universe itself increasingly is explained by claiming that our fine-tuned universe is merely a byproduct of the pre-existing multiverse which is forever popping trillions of universes into existence. * Regarding ID and the Age of the Earth: If you search the web for: dinosaur soft tissue, of 170,000 pages, Google ranks our RSR report, KGOV.com/dinosaur-soft-tissue usually within the top five sites. RSR currently outranks phys.org, Science Daily, Discover Magazine, scienceblogs.com by PZ Myers, et al. , Wikipedia, other creation sites, and the entire ID community. (As with the evidence against the big bang, ID leaders show remarkably little, i.e., zero, interest in extant dinosaur tissue, which is undoubtedly, the greatest paleontological discovery in history. In Darwin's Doubt, Meyers surmises that the Cambrian fossils must be the greatest such discovery, but certainly, hadrosaur DNA, intact T. rex blood vessels, triceratops osteocytes still anchored in the surrounding bone matrix, etc., must dwarf those triolobite and other Cambrian-layer fossils. At RSR we know at least a bit about arguments for the age of the earth (as seen also at our YoungEarth.com and on our annual List of Not So Old Things). 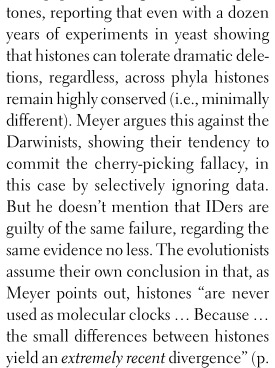 Whereas Dr. Meyer and the entire Intelligent Design movement seem to simply trust that secular academia is not as equally biased about their beloved big bang as they are about Darwinism. So, we encourage IDers to investigate the still soft dinosaur tissue finds, the fast-decaying Carbon 14 found everywhere it's not supposed to be including in places virtuallfy impossible to contaminate, such as in the center of diamonds, in collagen, and in still soft, endogenous (i.e., original, and therefore, obviously non-contaminated) dinosaur bones. With all that said, we are thankful for Dr. Meyer's testimony for the Lord Jesus Christ. And just as we use discoveries from Einstein and Hubble, RSR is eager to use scientific evidence against evolution amassed by Phillip Johnson, Michael Behe, Charles Thaxton, William Dembski, Jonathan Witt, Stephen Meyer, and others in the ID movement. But we hope that they will re-evaluate age in light of the mountain of evidence for a young earth. After all, according to all known ps ychological data, realizing that the evidence shows that the earth is young, has been a 100% effective antidote to atheism. 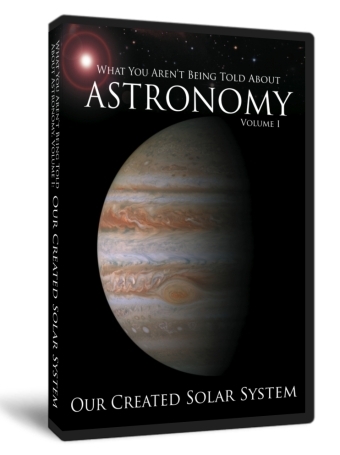 Today’s Resource: Get the fabulous Spike Psarris DVD What You Aren't Being Told About Astronomy! Also, have you browsed through our Science Department in our store? Check out Dr. Guillermo Gonzalez’ Privileged Planet (clip) and Illustra Media’s Unlocking the Mystery of Life (clip). You can also consider Bob Enyart’s moderated Age of the Earth Debate before a live audience two members of Hugh Ross' Reasons to Believe, noted geophysicist John Nicholl, former president of the EEGS, and mathematics professor Gordon Brown, from the University of Colorado in Boulder. See also Bob's creation vs. evolution informal debate with Eugenie Scott about junk DNA, etc. And finally, if you have kids or grandkids, from ages 8 to 13, you owe it to yourself and to them to order from RSR the superb kids' radio programming, Jonathan Park: The Adventure Begins!